Please explain the difference between a miracle where God interferes with free will and when God just allows something evil to happen because of choice. I keep thinking about the lady who threw her innocent children into the bay in San Francisco. Please explain this to me. ets begin to answer your question with an example that might at first seem completely unrelated to your actual question. Imagine an insect climbing up the trunk of a tree. Eventually it will get to a place where two branches join, and it will have to choose which branch to follow. As it climbs higher and higher, it will encounter more and more branches and more and more decisions about which path to follow. Now, at the end of its climb it could find itself anywhere in the tree. And whether it ends up on one side of the tree or the other all depends on the succession of choices it made along the way. Now, in all actuality there may not be any meaningful importance as to where an insect ends up in a tree, but this example gives us a simple image about the ultimate consequence of multiple events. Now, to start to address the intent of your question, we can think of God as being able to assess the events of the world an infinite number of choices in advance. 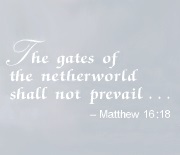 And, in all of this, we can trust that Gods intent is, well, something along the lines of what Christ Himself told us: The gates of the netherworld shall not prevail (Matthew 16:18). This means that however God chooses to intervene in this world, He does it for an infinitely well-calculated reason. He might work a miracle to produce immediate effects to counteract evil or to support the good. And yet He mightto our eyesdo nothing immediate, waiting for future events to follow. Or He might send us tribulations on top of tribulations, letting evil afflict us. Whatever God chooses to do, He does it for the greatest good of all things. And, in all of this, God nurtures the growth of saints by pouring down His graces with special liberality on those souls who have the will to accept and use those graces to do His will. Therefore, our task in life is not to become anxious about what is happening around us and not to get angry at God because we dont like what is happening around us. The Christian response to uncertainty is to trust completely in God. 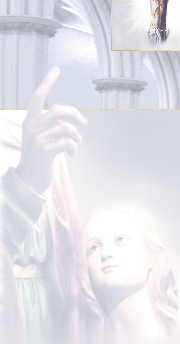 Those of us dedicated to living a holy life focus on doing anything it takesthrough sacrifice, obedience, and prayerto purify ourselves and to become in this world effective instruments of Gods will, so that, through the ultimate consequences of our obedience to His will, the gates of the netherworld shall not prevail.